Wilton has the tallest living Christmas Tree in Europe and the Town Council is extending the famous Lighting of the Tree event this year to start at 12pm midday on Monday 3rd December. The Market Square will be filled with Christmas and crafts stalls, fairground rides, food and drink, a bar, teas and mince pies, BBQ, candy floss, hot chestnuts and seasonal music. Father Christmas will be there later on, sitting on his sleigh, and mulled wine will be served by the Rotary Club of Wilton when, at 6.30pm, the Mayor of Wilton, Cllr & Rtn Peter Edge, will switch on the lights paid for by the Rotary Club of Wilton in 2014. 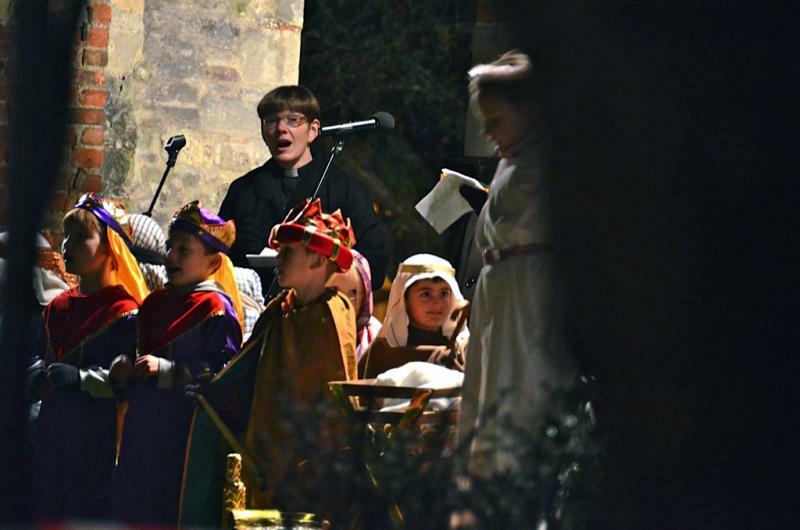 This will be followed by the traditional children’s nativity play and community carols with the Wilton Christian Fellowship and the Wilton Youth Band, and Sarum Morris will dance their Welcome Winter dances. Afterwards, there will be more carol singing in the Greyhound and a community Christmas singalong in the Bear with a Mummers Play. All events are FREE. Please note: Both the Market Square and Market Place will be closed to traffic from 12.00pm – 8.00pm on Monday 3rd December.